Everybody loves swimming, However the swimming season typically lasts for only a few months during the summer and the monsoon after which the water temperature drops drastically making swimming very difficult. Heating a pool will make it operational throughout the year. This will help swimmers to be able to swim any time they want whilst the pool owners can increase their revenue by having the pool open all-round the year. Heating a pool is an expensive and complicated prospect. First it requires high initial investment and also considerable running cost. An efficient design will make a lot of cost savings. At ATC we strive to provide the best alternative catering the need of the clients . There are a lot of options available to choose from based on the budget of the client and the site conditions. 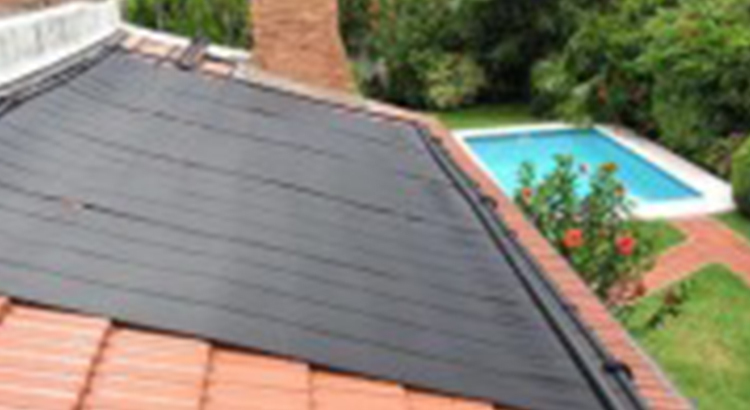 Plastic Collectors: These are the most popular pool heating solar collectors in the market. These are typically made from polypropylene tubes and donot have a glass glazing. These collectors are well known for their longevity since plastic is inert to the harsh pool chemicals. They are also renowned for their comparatively low costs. Copper Solar Collectors: Unlike the plastic collectors, these have glass glazing on them. This makes their heat yield comparatively higher than that of the plastic counterparts. To counteract the highly corrosive pool water laden with chemicals, a heat exchanger is introduced and the system acts as a closed circuit system, this greatly helps in the longevity of the system. Heat pumps: Heat Pumps are also popular pool heating equipment. They occupy very little foot print and utilize the heat present in the ambient air to heat the pool water. They can provide the heat output of up to 4 times that of the electrical input. For Larger pools they may be the only option available.